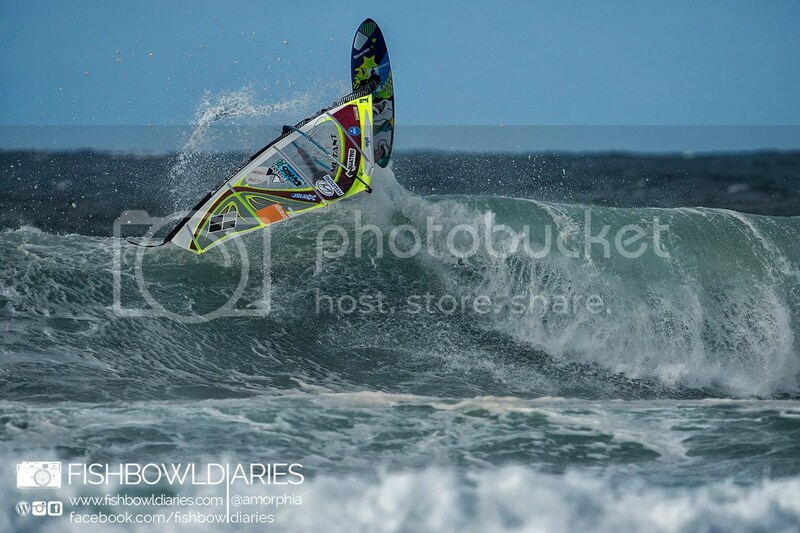 This blogsite has been running for less than a year and during that short time it has been a huge honor to be able to interview some of the best windsurfers in the world on our blog and great to be able to share some of our photos here as well as a few of our experiences. 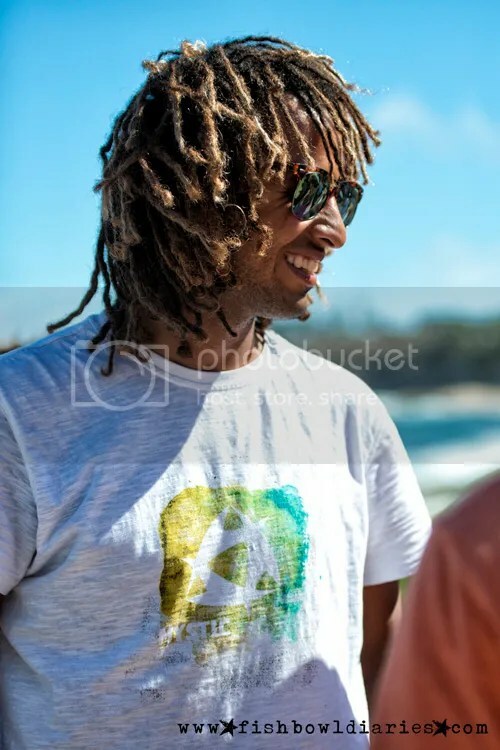 We are very appreciative to the windsurfers who have taken time out of their busy schedules to give us an insight into their lives by answering our hordes of questions! 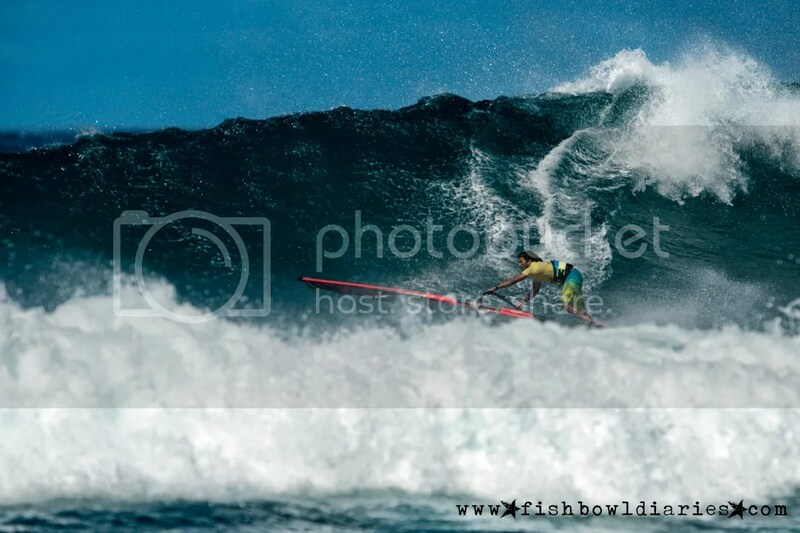 Thanks too to the surfers I’ve been able to photograph especially those surfing at Peahi in October. 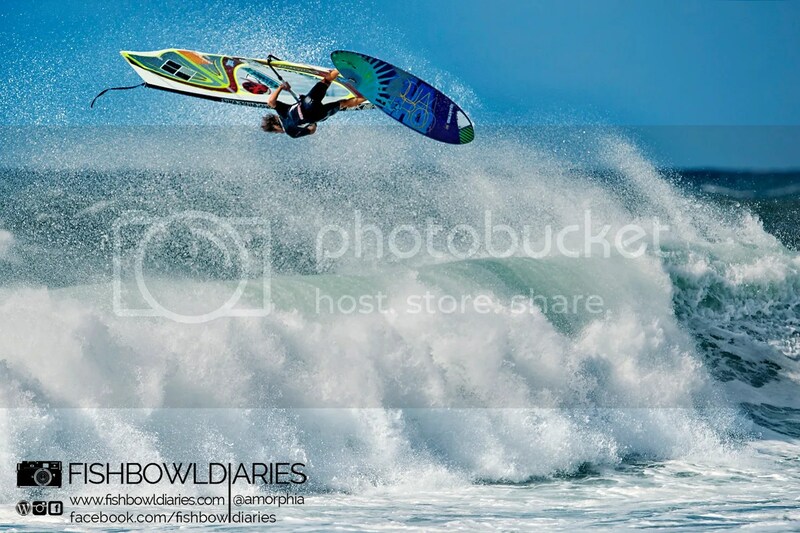 Hoping to have a few more exciting interviews to post soon … everyone’s busy in the water right now! 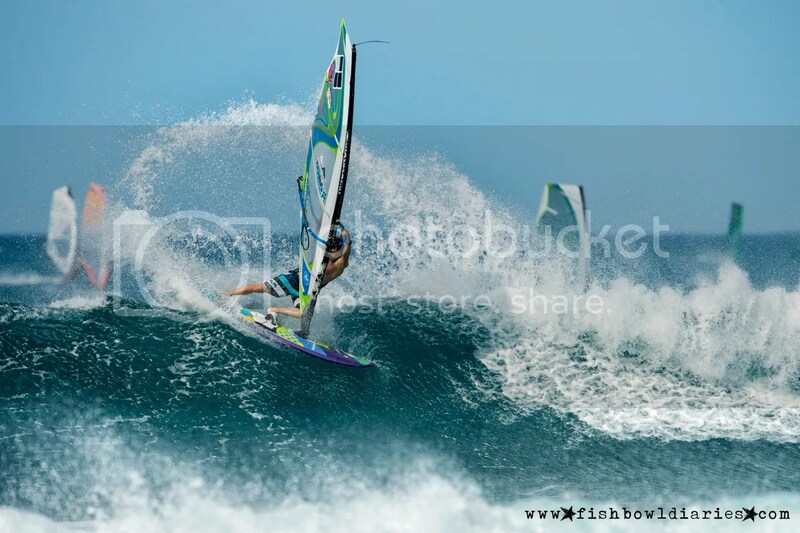 At the moment Paul & I are in Maui and are updating our Facebook page on a regular basis with images so if you haven’t seen our page please take a moment to visit the Fish Bowl Diaries page on Facebook and click ‘like’ while you’re there!! 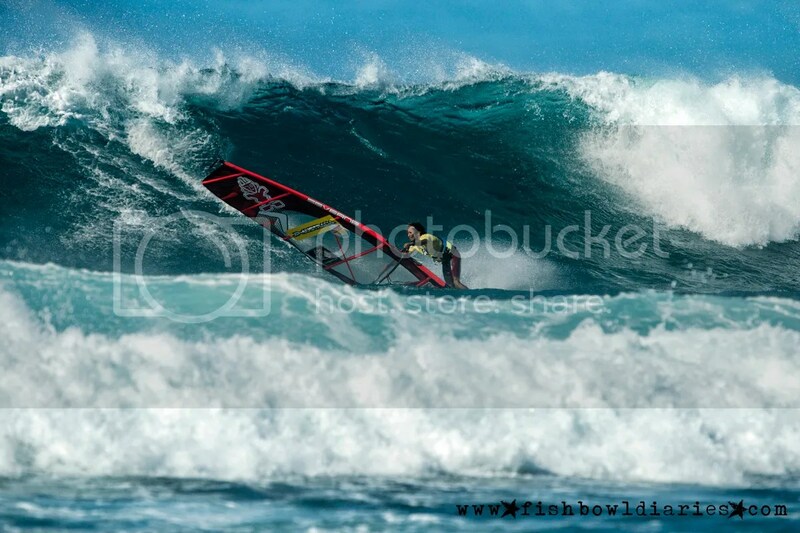 Paul and I are based on Maui and our FB page is full of updates of our latest surf & windsurf images such as some of the images below from Pe’ahi (Jaws) and Ho’okipa, Maui. There are some people in the water that you know are going to go for it whether it’s over mast high or only knee high and one of those people is Antoine Martin. Although he’s well known for trying many manoeuvres in all kind of conditions he tells us he’s not as fearless as most people would believe. 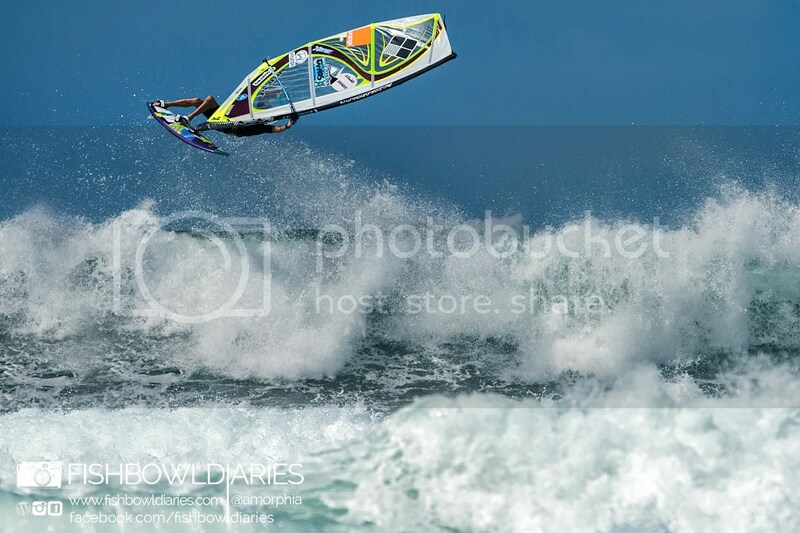 Despite that admission, we can see that nothing stops him from windsurfing with an intensity and passion that has made him a great windsurfer. Sponsors: JP, Neil Pryde, MFC, Tainos, Etra, Zoo Rock Cafe, Adenfi, Adf médico dentaire, Coté Sud, H2O. 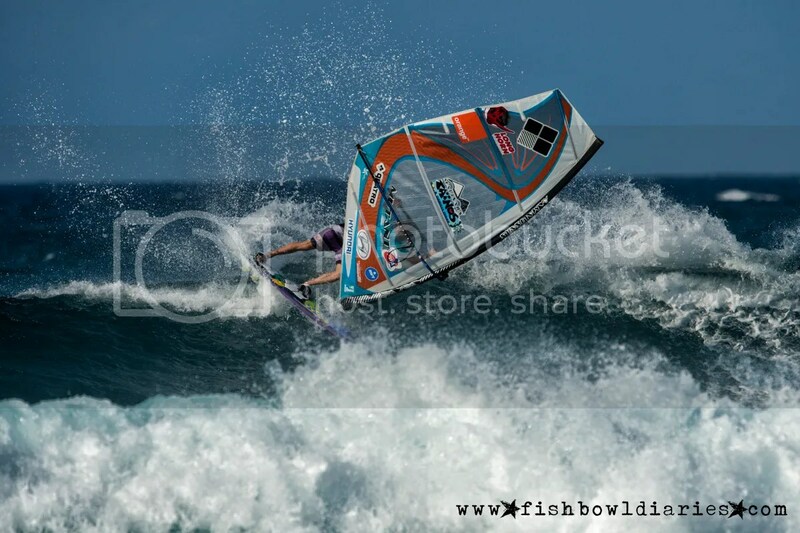 Without my local sponsors I wouldn’t be here! 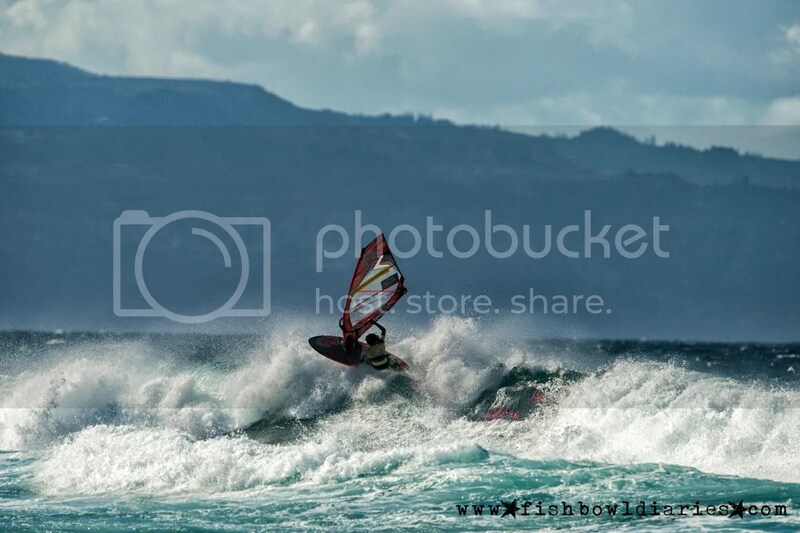 Why are you so passionate about windsurfing? I’m from an island so I’ve always been around water so I’ve become addicted to water. 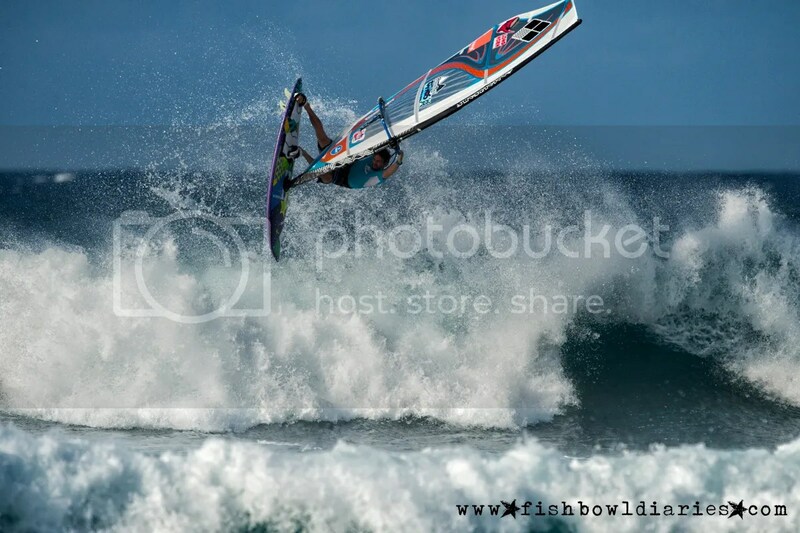 I started with surf and skimboard and other water sports but my favourite sport became windsurfing. A phrase or motto you live by: When you have a dream, go for it. If you were a superhero, which power would you want to have? To feel no pain. 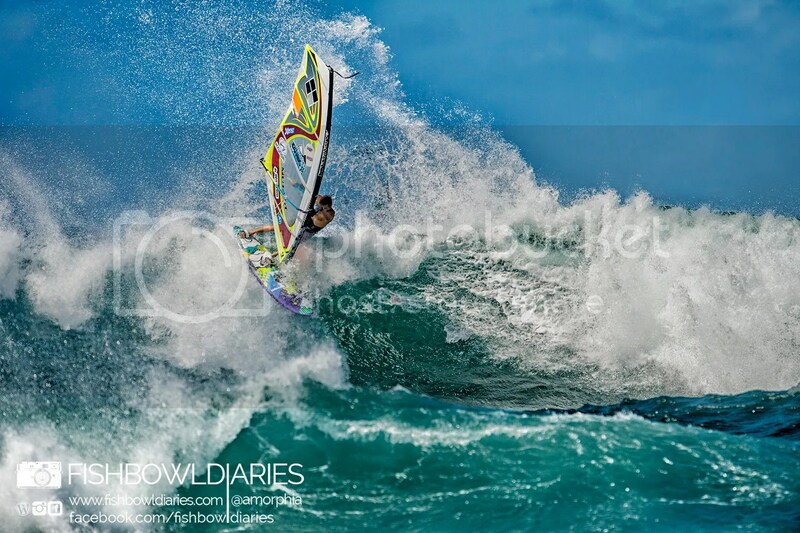 You’re going on a windsurfing trip to a desert island, other than your windsurf gear, what 3 things do you take with you? What poster did you have on your wall growing up? I had many posters. 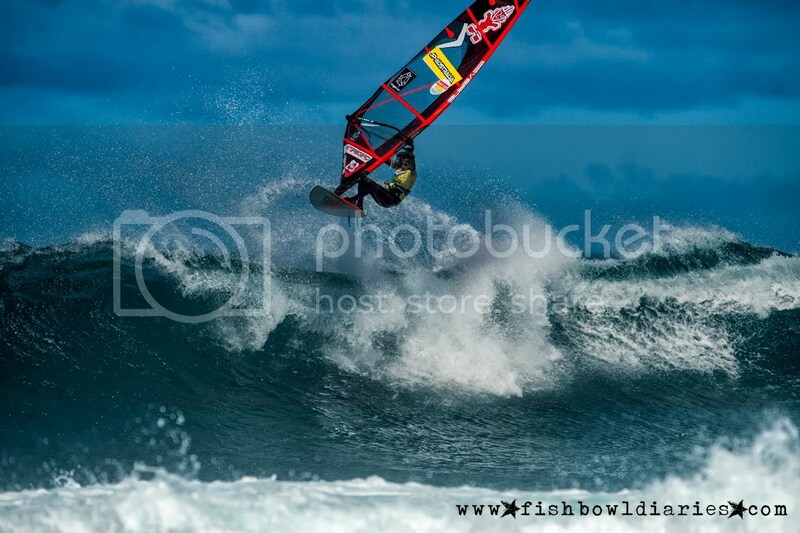 I had a book of double page spreads from magazines of windsurfers. I like my life! I wouldn’t swap with anyone. Who would you like to sit next to on a long haul flight? 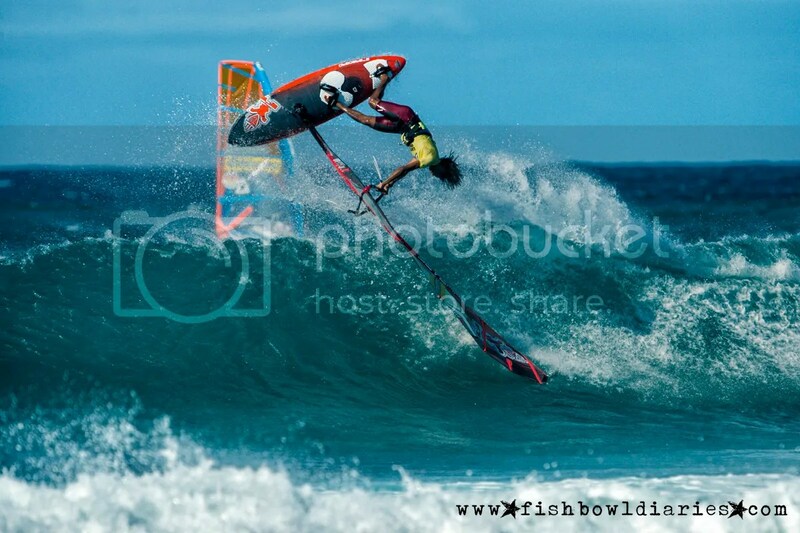 There are some kids in Guadaloupe who like windsurfing. They are so motivated and they live for it and I want to pick one of these little guys to join me to fly over to Maui. 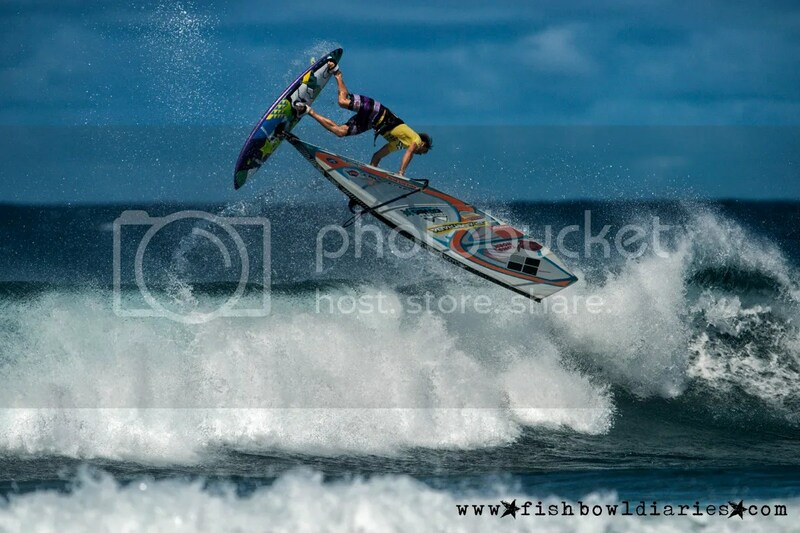 How long have you been windsurfing? Since I was 5 years old. If you have a number on your sails, what is the significance of the number you selected? F193 – It’s my birthday. 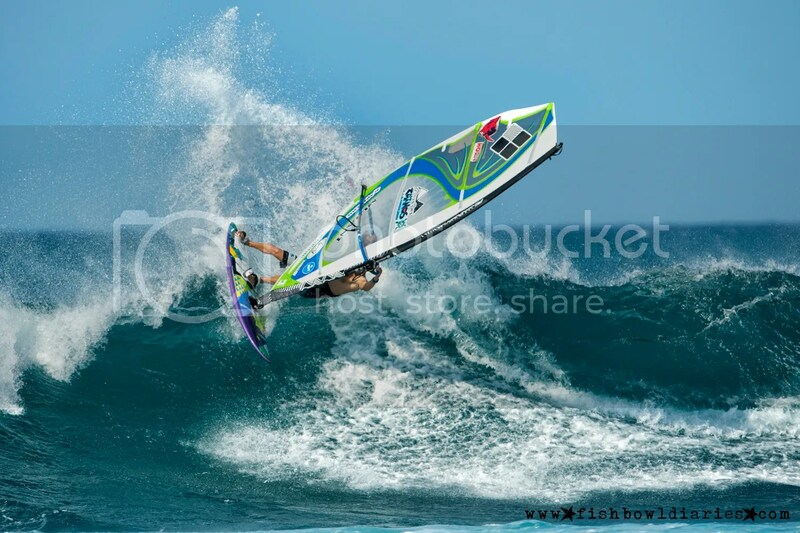 How did you deal with the crash at Jaws when it happened? You think beforehand that if something like this happens to you you’ll never survive. You see another guy falling in Jaws but when it it’s your turn you just think ok it’s my turn. You forget everything, let everything go and super concentrate and you’re not afraid. 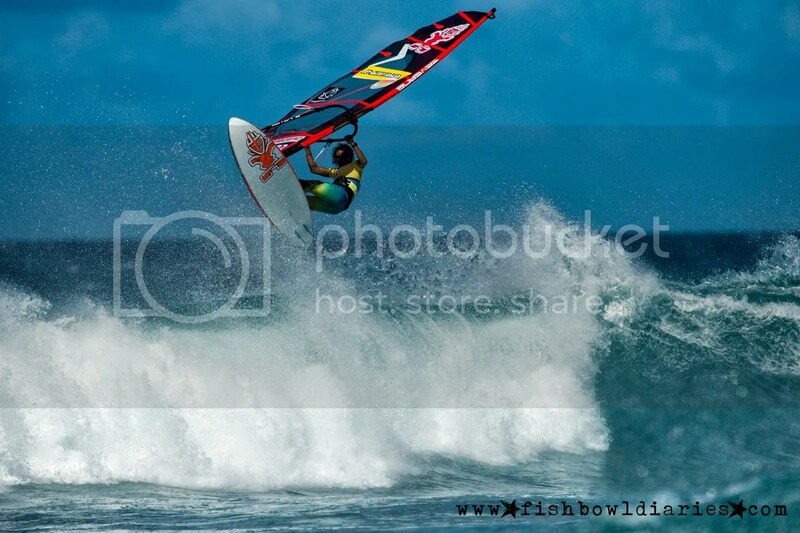 Who was your inspiration when you started windsurfing and why? My cousin. He was a really good sailor. 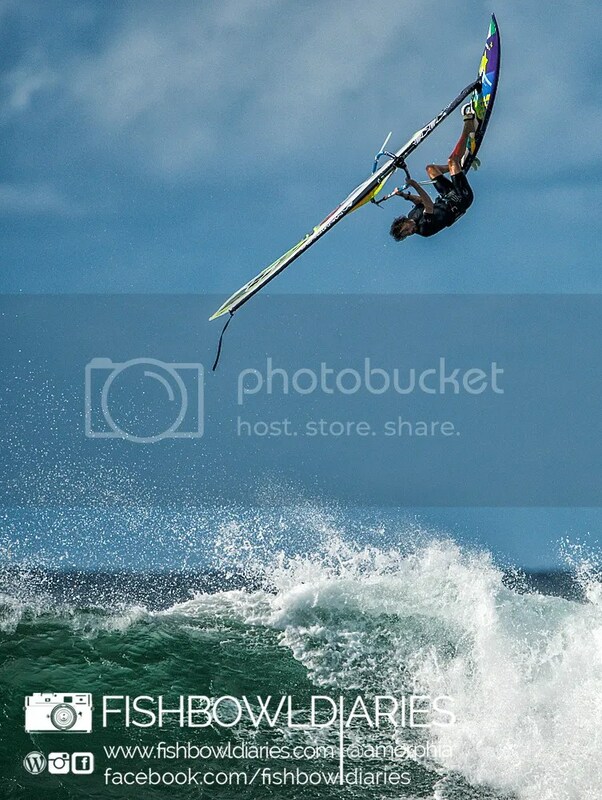 He would be here if he continued windsurfing. 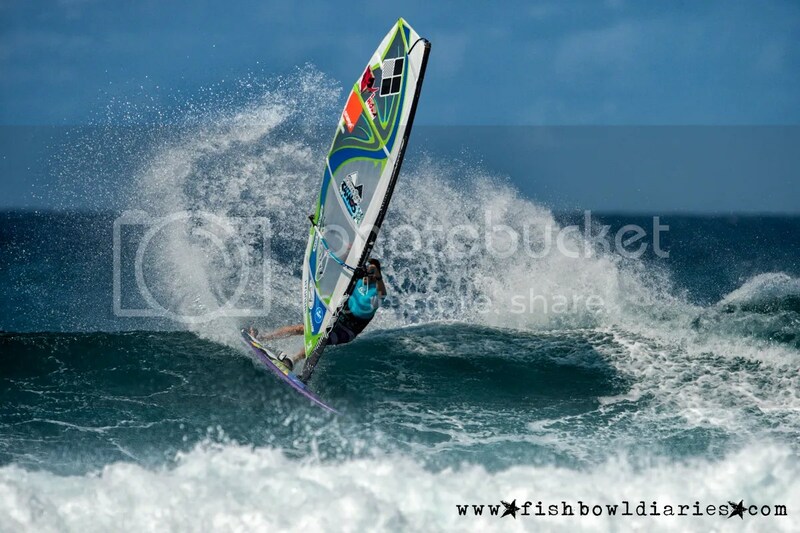 He stopped windsurfing when he was 18 but if he continued he’d have been sponsored. Which move are you currently trying to master? I have many moves I’m trying. It depends on the weather. 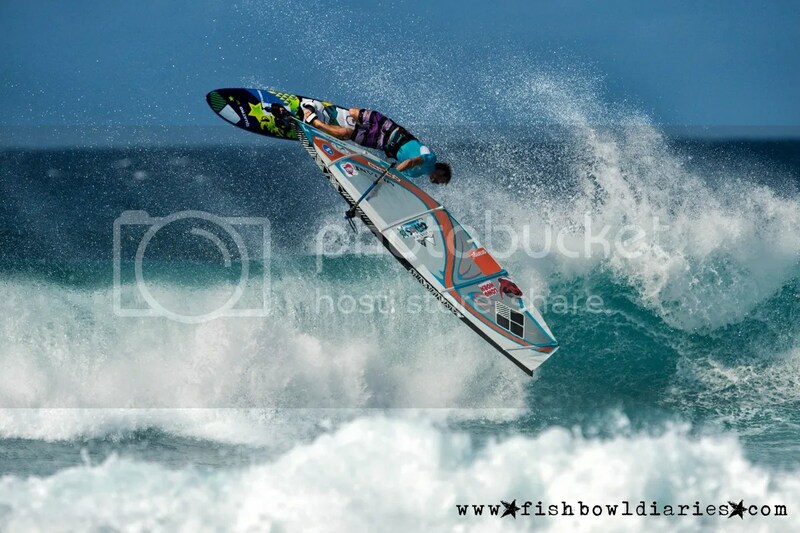 When I’m in side off conditions I try some surf moves, when I’m in Pozo I try other moves. 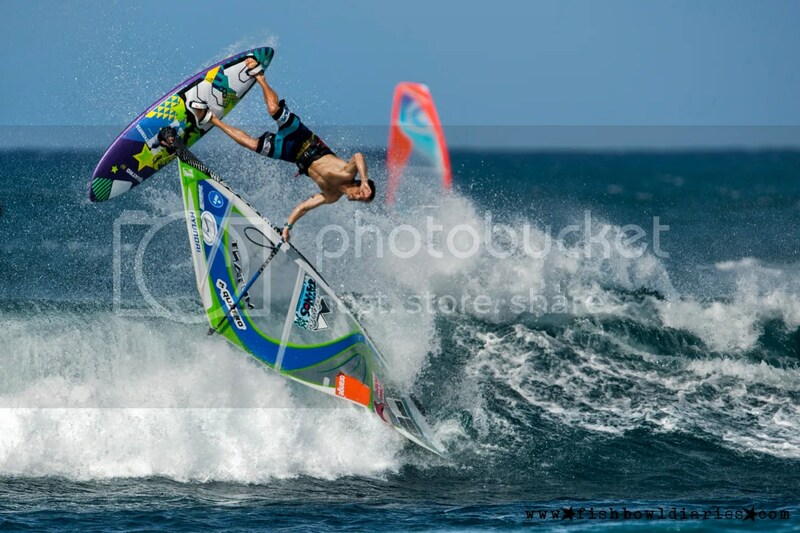 On Maui I try many moves because it’s not my tack. I’d like to do a perfect 360. Which spot haven’t you sailed at yet which you’d love to try? Cabo Verde. 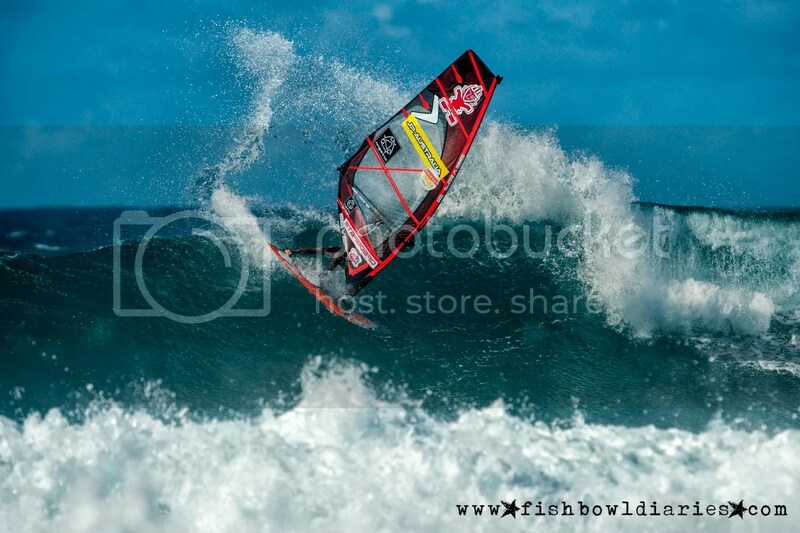 It’s one of the best waves of the world. And Marshall Islands. When I want something I give my all. 100%. I would like to stay more relaxed. What is a typical night out? What is a typical night in? If I stay home it’s because I’m tired and I did too much! 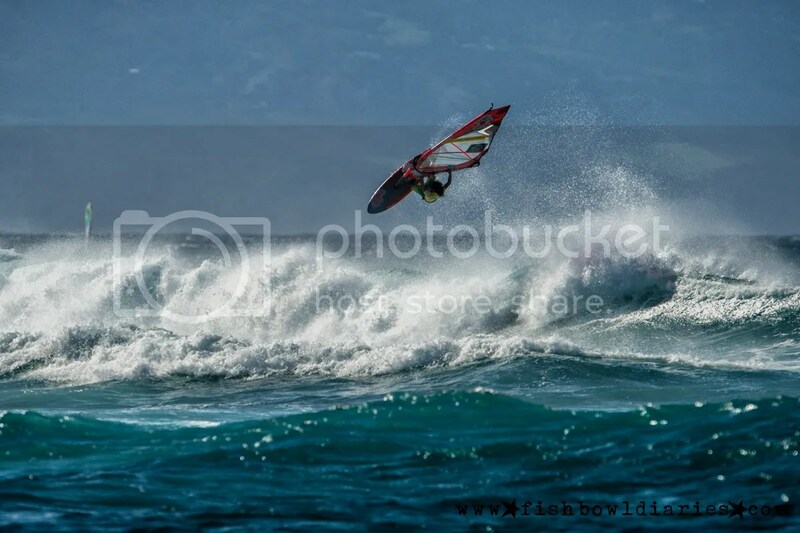 In Maui, we just windsurf but in Guadaloupe I go to the beach or go to the waterfalls during the day and at night I’ll just hang out with friends. I’m a big believer in…. life is what you make it. Call me crazy but…. when I go crazy on the water, I am afraid! 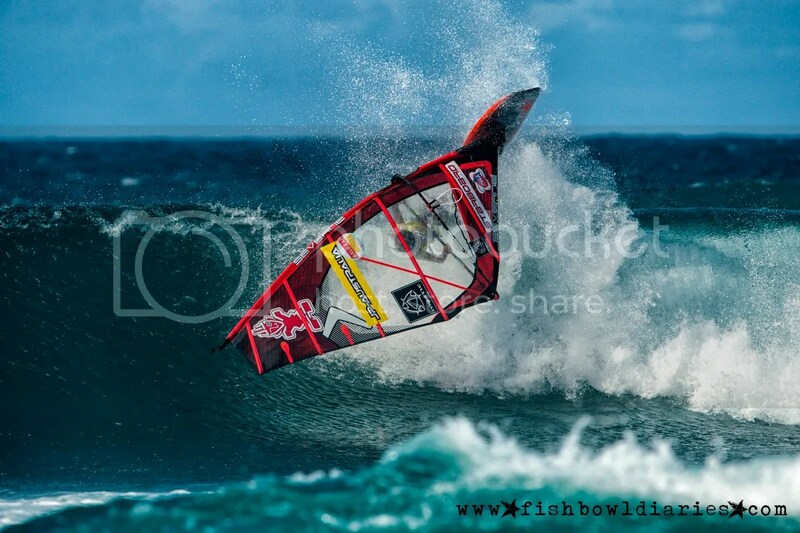 Why are you so passionate about windsurfing? I don’t know, it is what make my life the way it is, I think I am where I am right now because of it. Three words that others might use to describe you: Honest, generous, simple, friendly. A phrase or motto you live by: I lived by this, since I heard it over 10 years ago: don’t dream your life, Live your dreams. My Father, I never had a proper dinner with him. If you were a superhero, which power would you want to have? I don’t know, I believe with the power of unity everything is logically possible. Favorite or most used app? If you were invisible for a day what would you get up to? No idea. I have never thought about it, but probably will do something good, or for the good of humanity, I wish I had power to remember my deepest thoughts and put them alive.. If I take a look inside your refrigerator what would I find? 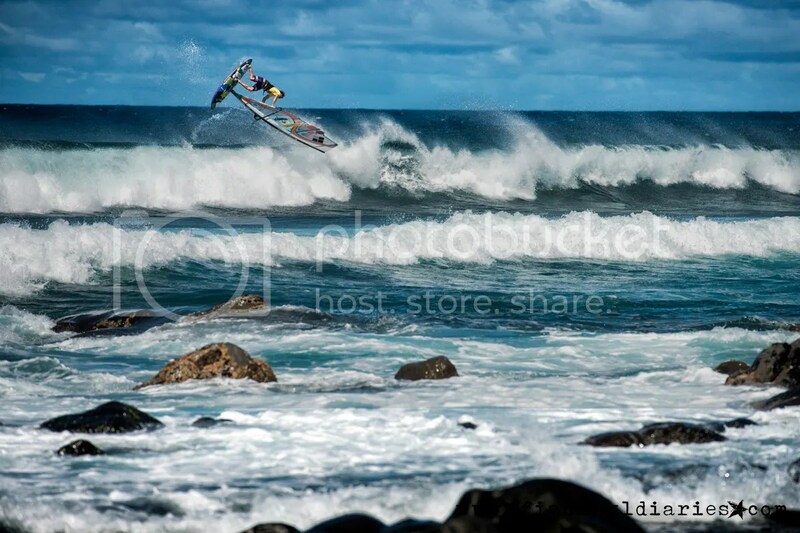 Where is your favorite windsurfing spot and why? Morocco, because it’s Home, beside that, Maui, Capverde and Australia, because this places has something unique than everywhere else I have been to. 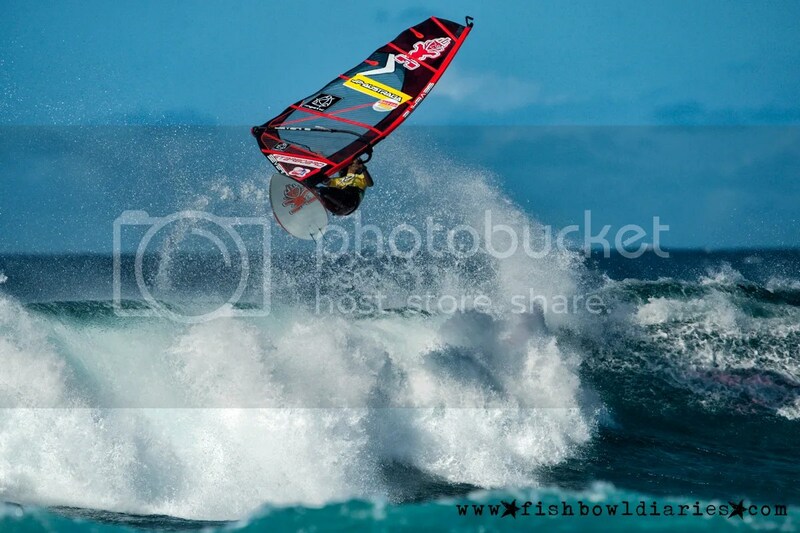 Who was your inspiration when you started windsurfing and why? 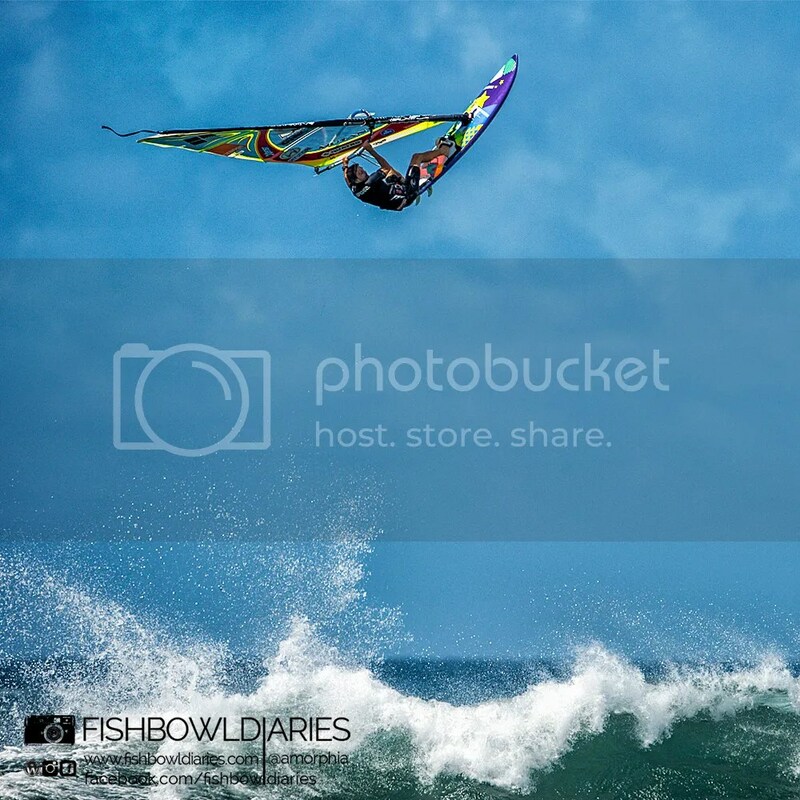 If you weren’t a windsurfer, what would you be doing? 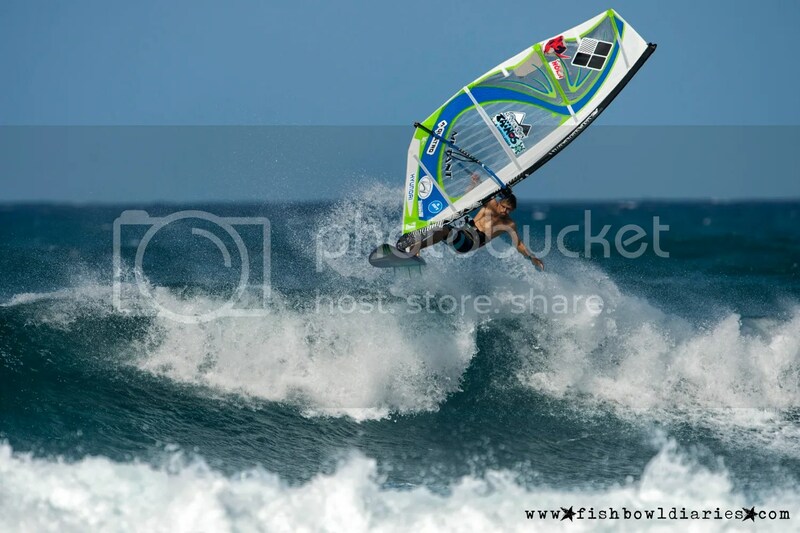 At School I planed to become a language teacher and then I worked a bit a windsurf clubs back home and I thought I could be a windsurf teacher as well. 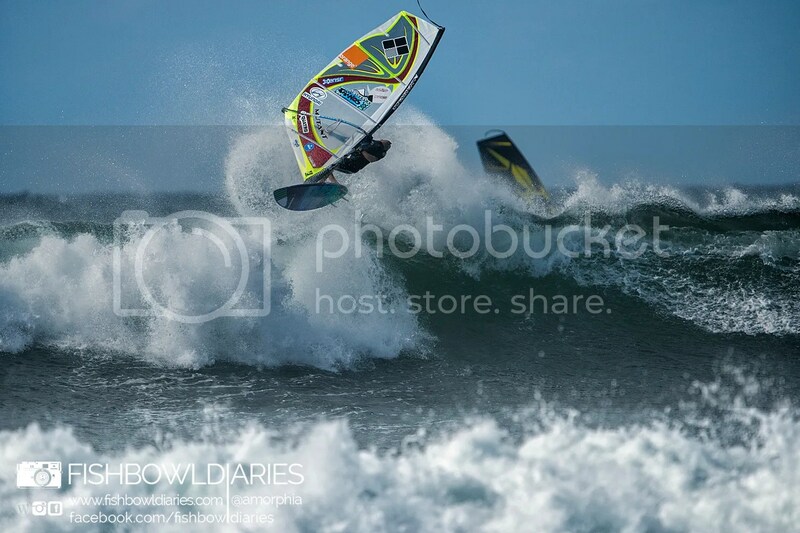 But professional windsurfing is the best thing that could happen to me. 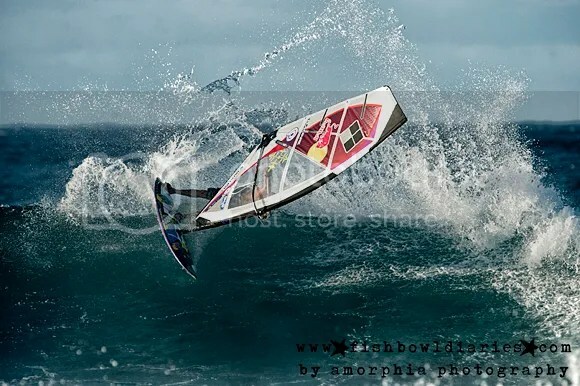 Which windsurfing move do you wish you had invented? 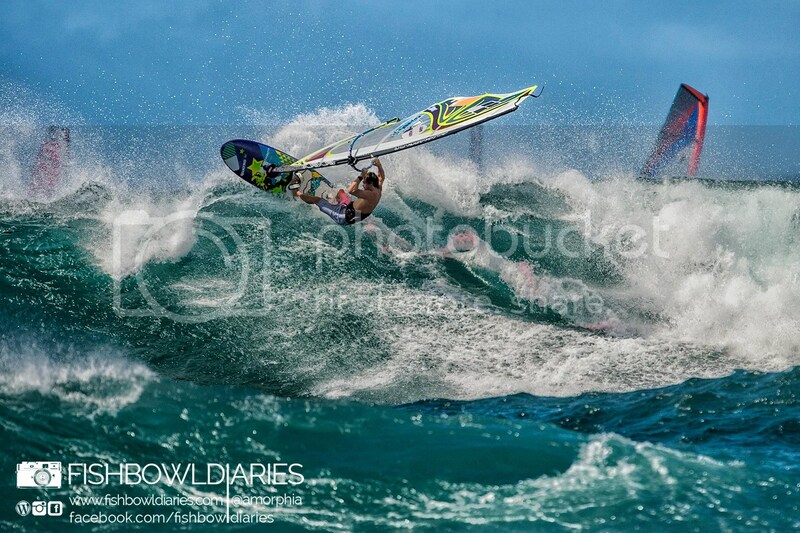 What are you doing when you’re not windsurfing? At home I will be surfing or spending time with friends talking stories and having tea in local coffee shops. 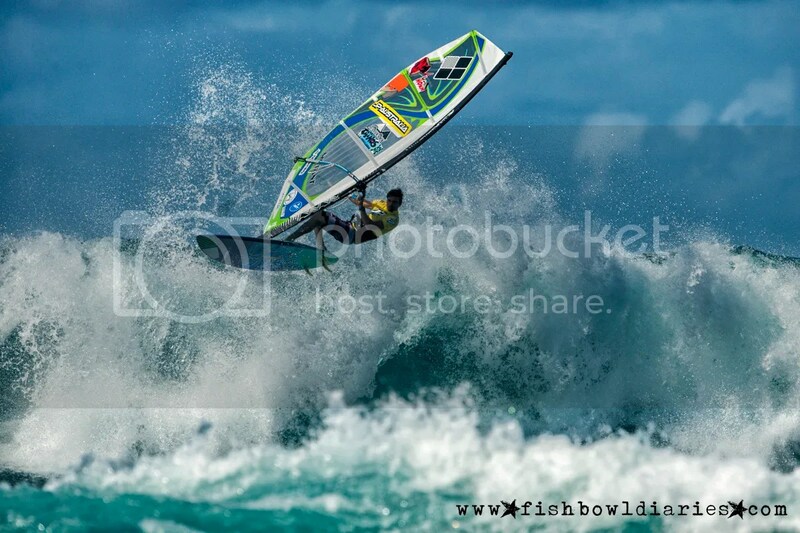 What kind of training do you do, be it physical or mental, to keep you in shape for windsurfing? Road bicycle, body weight workouts, a bit of stretching. No mental workout. Which spot haven’t you sailed at yet which you’d love to try? Other than family, what do you cherish in your life and why is it so important to you? Religion, it is where I feel kind of safe, where my mind find balance in what kind of choices I should make when it comes to important decisions. I don’t really know, I think the way I am, might mark a good memory in people’s heads. 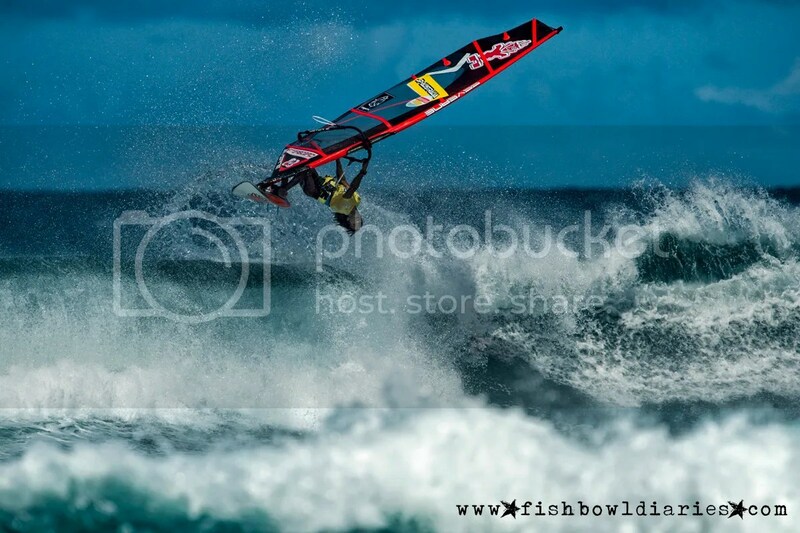 What has been your greatest achievement outside of windsurfing? Call me crazy but…. 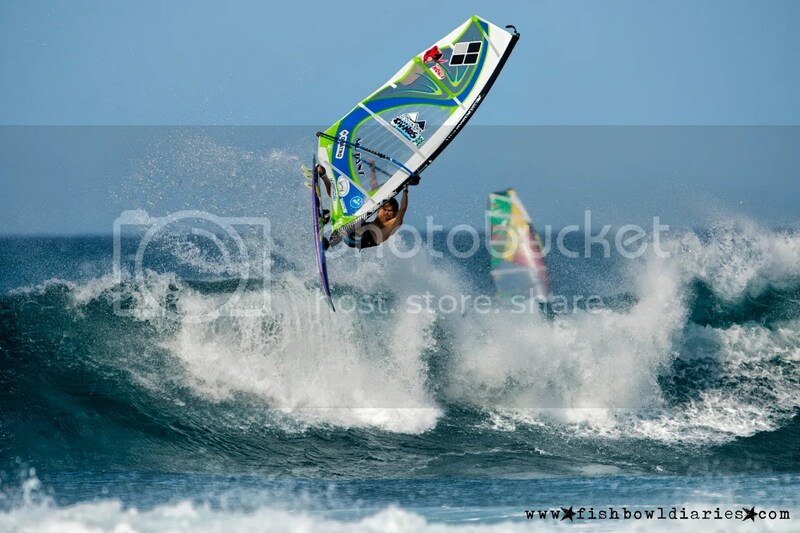 I am not scared to die windsurfing. If I had the power I would change…. People lives if needed. I am…. Who I am because of who we all are. It’s been a couple of days now and much has been discussed and debated but after all the reflecting on the Pipemasters’ results is said and done, no one can argue that it wasn’t an epic final day that kept us all on the edge of our seats as we watched with anticipation as to who was going to draw breath coming out of the barrels and who was going to score big or go home. Competitors got to surf a Pipeline that met up to all the expectations predicted by the swell gurus and spectators were treated to a show that exceeded all those expectations. 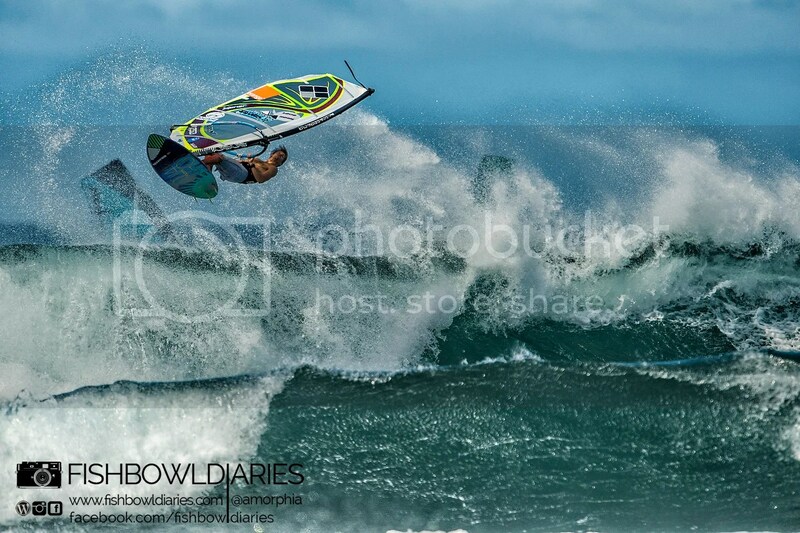 These photos relive some of those moments from Saturday’s unforgettable Billabong Pipemasters 2013.